It’s a little known fact that every supplier to a label manufacturer has their own proprietary adhesives. Label buyers should always keep in mind that label converters like Apogee purchase label stock with the adhesive already on the substrate. 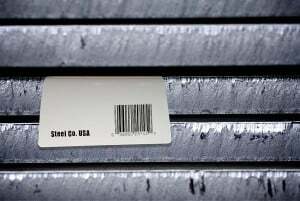 Did you ever notice that labels from one company or one product may stick better than labels on another product? A permanent adhesive from one company may not stick as well as an adhesive from another supplier. This is why adhesives should always be tested. 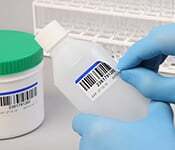 All label companies should provide samples for testing the labels on the product or application. What specifically is the label being applied to? Is it going on a corrugated box, wax coated box; HDPE or LDPE plastic, etc. What is the environment for the application? Is it room temperature or freezer for food storage; or will this be in a dusty / dirty environment like a steel mill, or industrial environment? Apogee Industries’ steel marking labels have proprietary formulas used in the tear-resistant film substrate and the super-strong adhesive combined with a split-back, non-adhesive section which allows the label to hang off the side of plates and sheets to create a 3rd dimension for improved inventory management. Some applications require removability. This type of application requires more questions to determine the right adhesive. Will it be removable over the long term? (2-3months or more) or removed a few weeks after application? Is some adhesive residue allowed after removal or no residue allowed after removal required? A label with aggressive adhesive will be extremely hard to remove. Many electronics labels use tamper evident adhesive to show that the electronic was tampered with. In some applications the label leaves behind a pattern that may say “VOID” or similar mark. Temporary or Removable adhesives will run from a low tack, “post-it note” type of adhesives to highly aggressive but removable adhesives. The most removable are Static Cling labels. These may be useful but are becoming less common because they fall off easily. 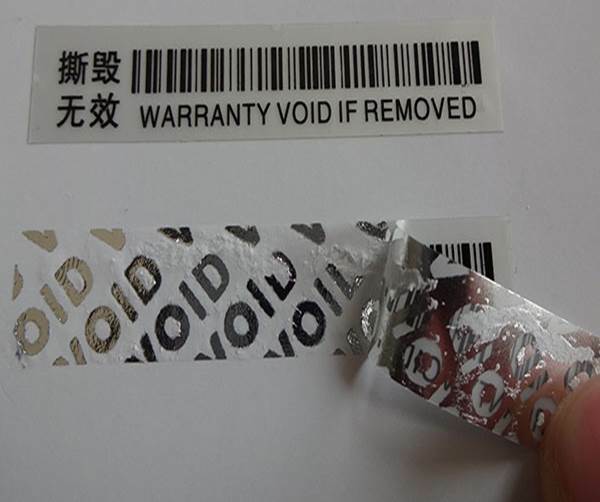 There are also repositionable labels that can be removed & re-applied several times. There are also ways to deaden adhesives on press which helps with removability. Ask us about that! REMEMBER that removable or temporary adhesives should be thoroughly tested in your specific product environment!